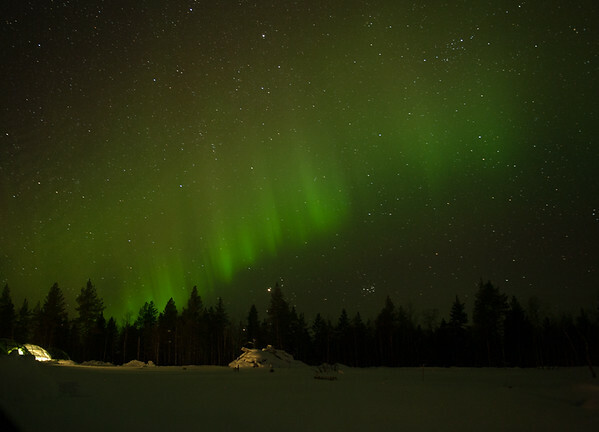 Dozing Off Under the Northern Lights…What Could Be Better? Watching the northern lights is an experience that is truly beyond words. There’s not really a way to describe the feeling of staring up at the sky as it explodes into colour, at first cloudlike and faintly white before it slowly morphs into green (and sometimes pink, purple, and gold) streaks across the sky. 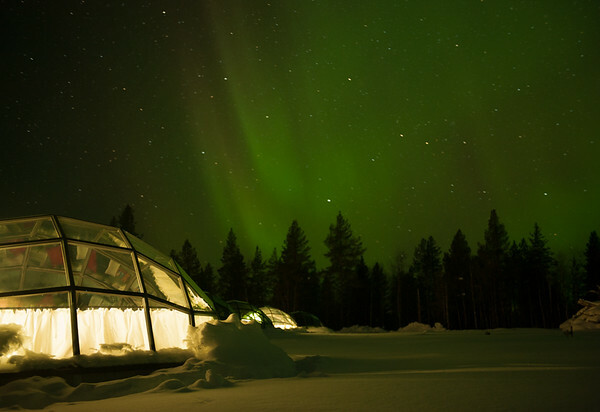 The northern lights over the glass igloos of Hotel Kakslauttanen. There is a way to describe the feeling of standing outside in the Arctic watching the lights though — COLD. While I was prepared for the cold and had spent hours watching the aurora in temperatures as low as -30C already, it was always the cold ended up driving me inside. This was probably for the best since it meant that I got some sleep, but it also meant that I was never sure if I was missing the best auroras by going inside to warm up. 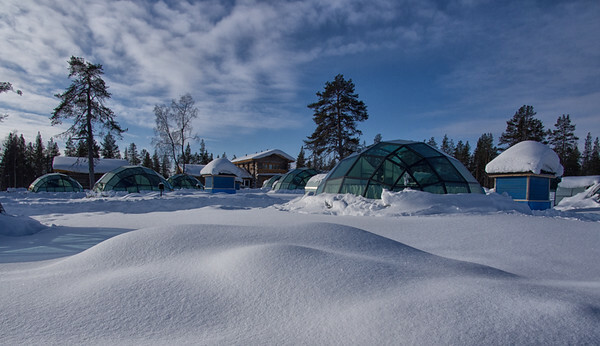 Jussi Eiramo, the owner of Hotel Kakslauttanen who “came here for a summer 30+ years ago and never went back”, has found a way around the minor issue of the Arctic being cold by building a village of glass igloos. These igloos are built of a special type of thermal glass that doesn’t freeze or get covered in condensation, which ensures you’ll always be able to see out of the igloo…even if all you can see outside is a snowstorm. There are two layers of this glass in every igloo, which allows the igloo to stay a normal temperature inside. In fact, when I touched the glass, it was room temperature. One of two zebra-print adjustable beds in my glass igloo. Not only are you more comfortable temperature-wise inside the igloos, but you’re also more comfortable posture-wise. I woke up more than a few times with a bit of a sore neck from craning and staring up at the sky the night before…but not in the igloo. That’s because the adjustable beds, controlled via remote control, let you move into the perfect sitting position for staring at the northern sky. 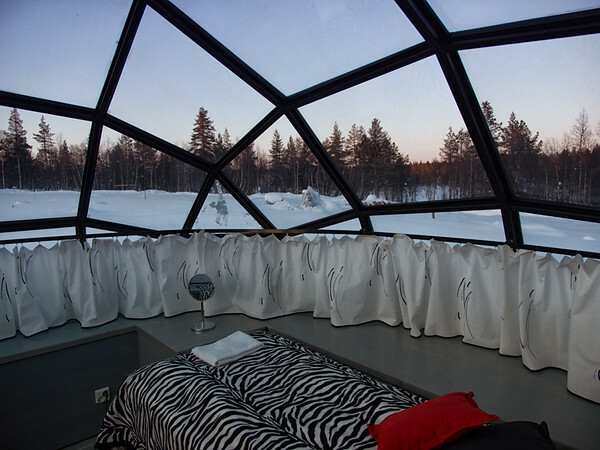 It’s no surprise, after making a place as perfect for northern lights viewing as this (even if it is questionably decorated in zebra print), that the igloos are incredibly popular. They’re so popular, in fact, that the original village of 20 igloos morphed into two villages of over 50 igloos for the 2012-2013 winter season. The new glass igloos at Santa’s Resort. I stayed in the new village, located in Santa’s Resort (a few kms down the road from the main hotel). Our dinner and breakfast were both served in the Celebration House, a beautiful wood and stone building near Santa’s house. I enjoyed the included meals there, but I would have preferred if they hadn’t put a Christmas carols CD on repeat! The Celebration House where we ate our meals. Even from here you could hear the Christmas carols. Funnily enough, the Christmas carols were not being played in Santa’s house itself. 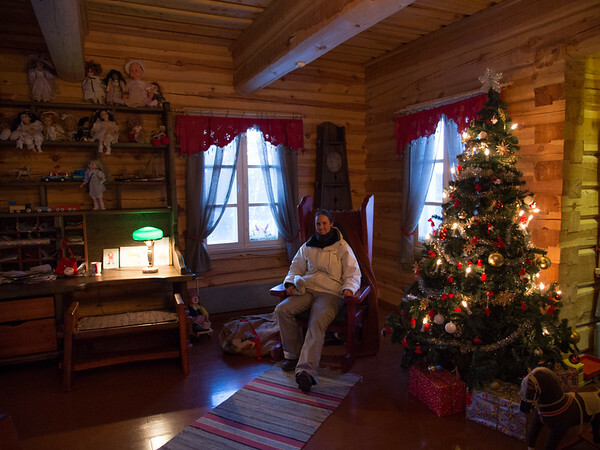 Unfortunately, Santa wasn’t there either, but I took the opportunity to sit in his chair and contemplate how I would get toys to all the children in the world. Stealing Santa’s chair. I was disappointed that there wasn’t a table nearby with some cookies and milk. While it was a bit of fun visiting all of the buildings in the village, the main attraction for me was always the glass igloo itself. A feeling of giddiness washed over me as soon as I walked into it for the first time. I had been looking forward to staying in the glass igloos from the minute I had found them months before, and now I was actually there on a gorgeous day with a good northern lights forecast. What more could I have asked for? As the sun went down, I turned out the lights in my igloo and left them off for the rest of the night. The only reflections in the glass were created by the ambient light from other igloos, but one by one their lights winked out too until the only one with lights on was the one that a Hong Kong film crew was busy filming inside. The sun going down over my igloo. I can imagine that everyone in the village was doing the same as me — waiting. Adjusting my bed to perfection, I laid down and stared at the sky. I was snug, wrapped up in my little bubble of warm air in the middle of the snow, yet it felt like I was outside in the forest. In almost every direction, I could see snow and pine trees. The silence of the Arctic was untouched by the modern conveniences of the igloo; there was no faint trickle of running water from the toilet or hum from the lights. Even my thoughts began to quieten when confronted with such silence and such an immense, star-filled sky. Not a single cloud obscured my view as I gazed in wonder. Very faint northern lights flared up on the horizon, briefly teasing all of us before evaporating into a puff. The northern lights starting up around 1am. I think I watched the sky for about an hour before I dozed off the first time…but the great thing about dozing off was what I was able to open my eyes to. I know people say you are ‘sleeping under the stars’ in a tent, but this was even better. Knowing I would kick myself if I fell asleep and missed the night, I set my alarm to go off every 30 minutes until 2am. I spent the night in a dozy, dream-like state, only truly waking up when I convinced myself I’d seen the northern lights. At 1am, the green flicker I thought I’d been imagining turned into the real thing, and suddenly they began streaking across the sky, two distinct groups of lights dancing towards one another. The brightest northern lights of the night. On my horseback ride earlier in the day, I’d seen a few spots that I thought would make great landscapes under the northern lights. Even though I knew my photos from inside the igloo were reflection-free, I wanted to try a few different compositions under the trees. So, I put on all my gear and stepped outside the igloo’s miniature doorway…and then quickly jumped back inside again. No way was I standing outside in the cold — a cold so dry that it immediately made me start coughing. 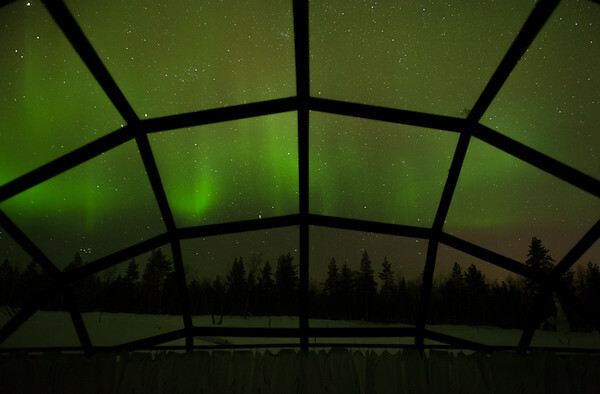 It turns out that it was -38C that night (according to the hotel’s own thermometer), so it really was the perfect night to watch the aurora from inside! The northern lights dancing over lit (and very reflective) igloos. The show continued for an hour and a half, alternating between strong bands across the sky and a weak glow. It was the longest I’d been able to watch the aurora so far and it was interesting to see the different phases it went through as it drew its signature pattern of wavy lines across the sky. When I finally gave in to my drooping eyelids around 2.30am, the last thing I laid eyes on was a sky still faintly green. Amazing. 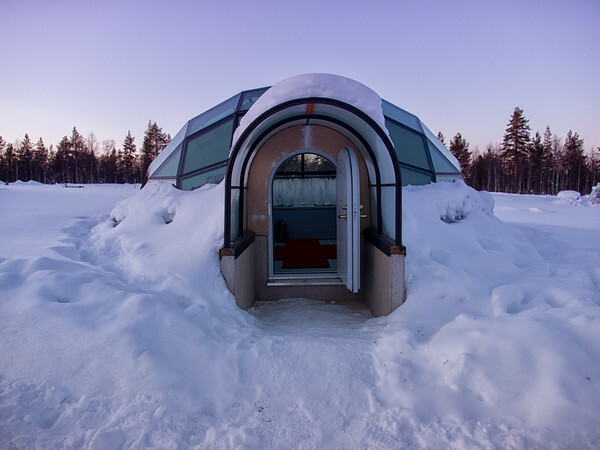 I stayed in the glass igloo as a guest of Hotel Kakslauttanen but all opinions stated here are my own. 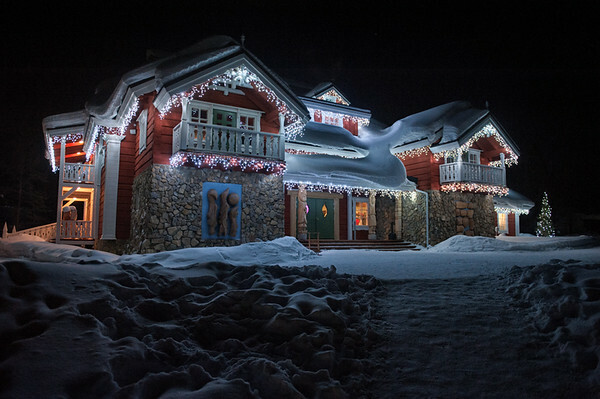 Hotel Kakslauttanen is located 10km to the south of Saariselkä in Finnish Lapland. To get there, take E95 south from Ivalo (41km) or north from Rovaniemi (245km). It’s best to call ahead on the day you arrive to find out whether you need to check in at the main hotel reception or at Santa’s Resort. If you arrive by bus, you’ll get dropped on the main highway outside the hotel’s reception. They run a courtesy bus across to Santa’s Resort. The igloos have small bathrooms near the entryway with a toilet and sink (which are blocked from view obviously). Showers and saunas are provided in the reception building, which closes at 9pm. Wifi is also available in the reception building. Dinner and breakfast in the Celebration House are included. Dinner is a set menu served at two seatings and breakfast is a buffet. Both the hotel and the resort offer plenty of daytime and evening activities, ranging from dogsledding to ice fishing to snowmobiling. Winter clothes (including Arctic suits) are included in these tours. The hotel is open year round, but the glass igloos are only available from December to April (since they’d probably be pretty difficult to sleep in during the midnight sun anyway). They cost €315 a night. Other accommodation options include snow igloos and log cabins, and those that aren’t staying in a glass igloo have access to a glass-enclosed viewing area. That is so awesome! I’d love to stay in one of those igloos! 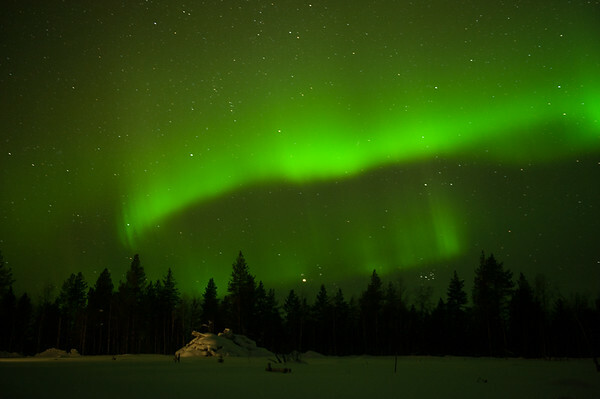 Seeing the northern lights is really high on my list, but I hate being cold. Might have to splurge on this someday! I’m glad you found this place and enjoyed it so much! I think it is definitely worth the splurge, Ali! Even though I saw bigger northern lights shows on other nights it was still my favourite night of the trip. The only problem is that you have to go to one of the coldest parts of Lapland to have the nice warm igloo so you’d probably still be cold some of the time. I’ve never really been a cold weather person either though and I thought it was worth it! How ridiculously awesome are those igloos! Thanks for introducing them to me. A splurge, yes, but if you’re gonna do something big like this, you gotta do it right 🙂 LOVE THIS! These are so neat! That sounds like my kind of way to watch the northern lights, from a heated building! What a great idea for accommodations. They really were neat, Suzy. I can’t believe it’s the only place where they do something like this (as far as I know). I stayed in a few places where you could see the northern lights out of a window, but it was so amazing to just be able to lie down and watch them without freezing! This is so high up my bucket list! As it should be Angela! It’s the perfect way to watch the northern lights. It’s fun getting the experience of being out in the Arctic cold watching them, but this was really something else. So beautiful! I had no idea they had igloos like that. Such an amazing way to watch the Northern Lights. I love that you were able to snuggle up in bed, stay warm and watch the lights throughout the night. It’s a really unique place Kimmy, and one I only found after the picture popped up a few times as I was doing my research. It’s such a great idea. While it’s great getting the whole Arctic experience, it was amazing being able to watch from inside…and take photos without having to fiddle around with my camera with thick gloves on! Love those igloos. Miss not having them over here in Iceland. I guess people are worried about storms over here or something, but that cant be the reason. We just got some glass walled bars to watch them like in Ion hotel he he. I think people need to be worried about snowstorms no matter where they try to go see the northern lights, Robert! Finland was a lot clearer than Norway was, but there were still a few nights where it wouldn’t have been possible to see them even if there was a fantastic show going on. It’s good that there’s some good places set up to watch the lights there in Iceland though. I’ll have to keep that in mind for when I (hopefully) make it over there! Sounds like an incredible experience. I was lucky enough to catch the Northern Lights this winter in Iceland. It really was an incredible experience — one of the highlights of a trip that was full of amazing activities and interesting accommodations. I would go there again in a heartbeat even with the price tag. So glad you got lucky enough to see the northern lights in Iceland! It really is a crapshoot whether you get to see them or not. This trip was partially born from frustration at having not seen them on a short trip last year!